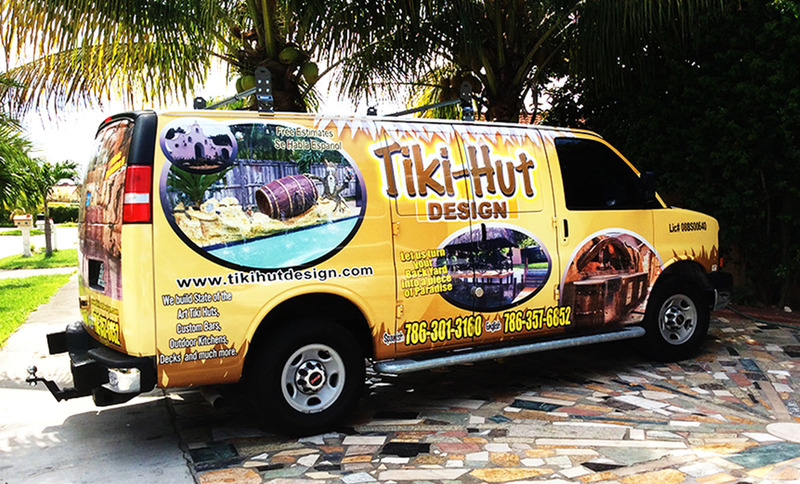 Welcome to Tiki Hut Design of Miami, Inc. Our name says it all “Design”. If you have a vision of what your perfect oasis would look like we can turn it into a reality. We are a family owned business since 2008. We build State-of-the-Art Tiki Huts. We also build custom outdoor kitchens and bars. We are creative in so many ways. We can take the four corner poles and turn them into beautiful oak trees. The trees have lighting on the base of the tree and many decorative items such as butterflies, birds, etc. Although, the trees look like wood they are actually sculpted from cement. Take a look at our website there is so much more to see!!! !